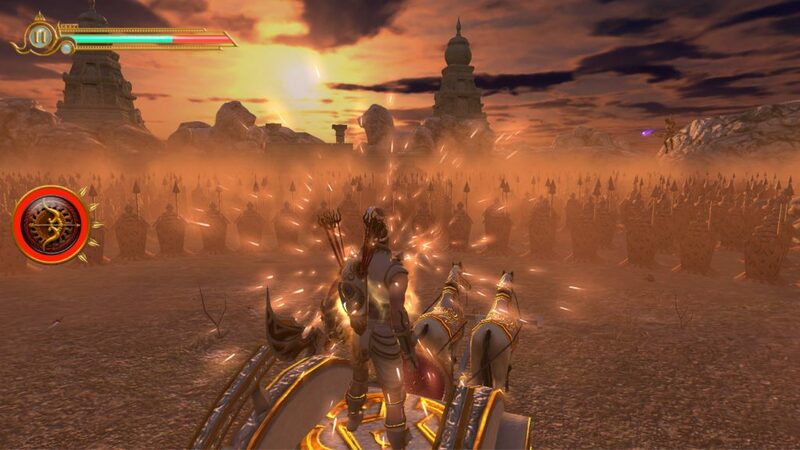 Game’s story is based upon events that occurred on 13th day of the epic war of Mahabharata. When a sixteen-year old Abhimanyu fights alone against the greatest warriors of that era and successfully breaks in one of the greatest military formation ever, the “Chakravyuha”. “Chakra” means “Spinning wheel” and “vyuha” means “formation”. LoA focuses on creating an intensive, long-lasting experience and let gamers feel the impact of the greatest war of all times – the “Mahabharata”. LoA has used Indian contemporary art and transformed the story to a game for gamers across globe, clubbed with hack n slash, archery on chariot gameplay, many 3D puzzles and unique boss fights. LoA features a stunning original soundtrack that will take gamer to the era of the epic battle. LoA also thrives on creating awareness about the epic through cinematic for any age or gender. 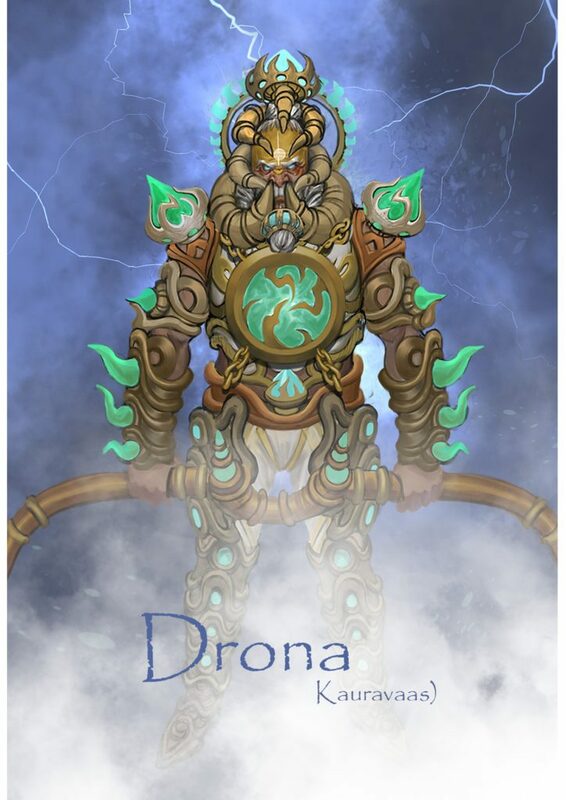 The power of main antagonist Guru Drona, Aswathama, Karna, Dussasana, and Duryodhana is been inspired by five main elements: Earth, Water, Lightning, Fire and Air. To support the powerful antagonists, we created 5 different class of warriors namely Archer, Sword Soldier, Spear Soldier, Sword General and Mace Soldier. With the use of these elements and warriors, the composition of the game is being divided into 11 different levels with a variety of different puzzles and mazes to bring forth our rendition of Chakravyuha. LoA – Legend of abhimanyu – Go back in the ancient time! 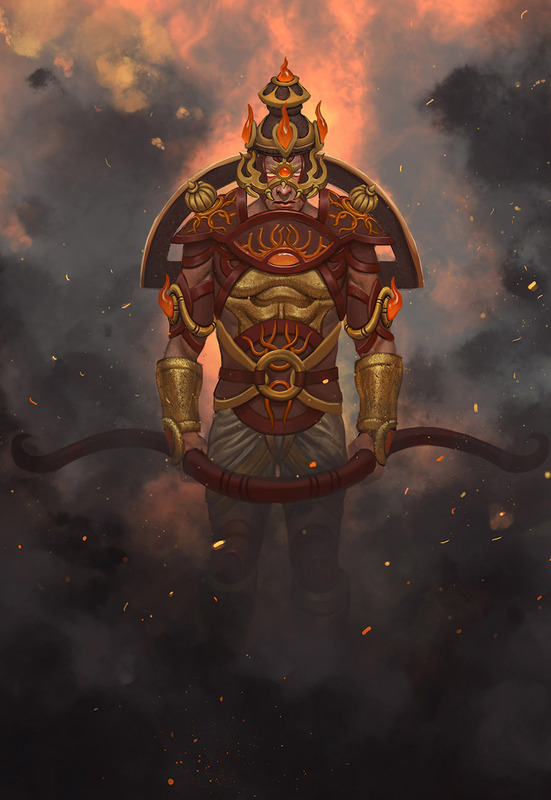 LoA- Legend of abhimanyu – An action adventure game! The protagonist of LoA – Abhimanyu is the incarnation of Lord Chandradev’s son. On earth, he was born to legendary Pandava warrior Arjuna and Lord Krishna’s half-sister Subhadra. He learned Archery from Arjuna and Krishna and soon became an unparalleled archer himself. Even during early years of learning, he was considered equal to his father in his prowess with bow and arrow. Apart from archery, Abhimanyu also learned intricacies of hand to hand combat. He was apt at fighting using a Sword, Spear, Gada and a variety of other weapons. On the thirteenth day of Mahabharata, Abhimanyu was asked by his uncle Yudhishthir to tackle Chakravyuha – one of the most complex military formations. 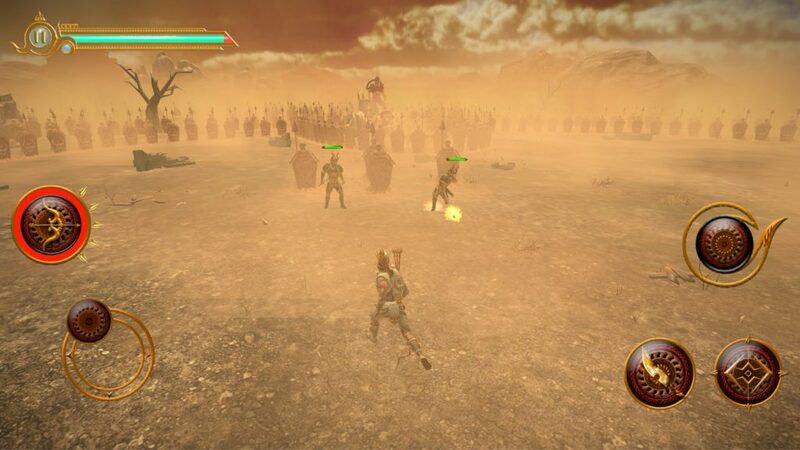 Thus, begin a series of events which forced him to face the mightiest warriors in Kaurava army by himself. Duryodhana is one of the prime characters of the epic Mahabharata. He was the eldest of the 100 Kauravas brothers, the eldest son of blind king Dhritarashtra and Queen Gandhari. Duryodhana is derived from two words – dur and yodhana where dur means ‘difficult or unconquerable’ and yodhana means ‘warrior’ meaning of his name ‘unconquerable warrior’. Duryodhana’s evil deeds were supported by 2 warriors from the Kaurava clan, his closest friend Karna and his younger brother Dussasana who along with Duryodhana performed various evil activities against the 5 Pandav brothers with a motive to eradicate them and become the sole king of Hastinapur. 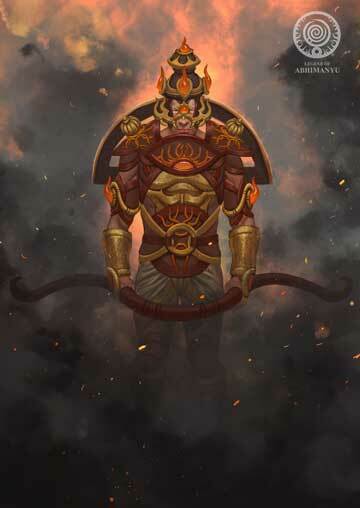 In Legend of Abhimanyu, Duryodhana is the mightiest warrior to fight with. His primary power is Air using which he creates tornados to defeat the opponent. He also inherits the power of earth, water, lightning and fire from the other warriors thus making him the most powerful and difficult warrior to fight with. Dussasana was the second son of the blind king Dhritarashtra and Gandhari of Kaurava clan in the epic Mahabharata, and the younger brother of Duryodhana. Dussasana means “someone who is uncontrollable”. It’s been said that Dussasana’s act of inhumanity when he tried to disrobe Draupadi the wife of all 5 Pandava brothers is one of the reasons that initiated the war of all the times The Mahabharata. Dussasana was also devoted to his elder brother Duryodhana and is also closely involved in the various schemes and plots to kill the Pandavas. 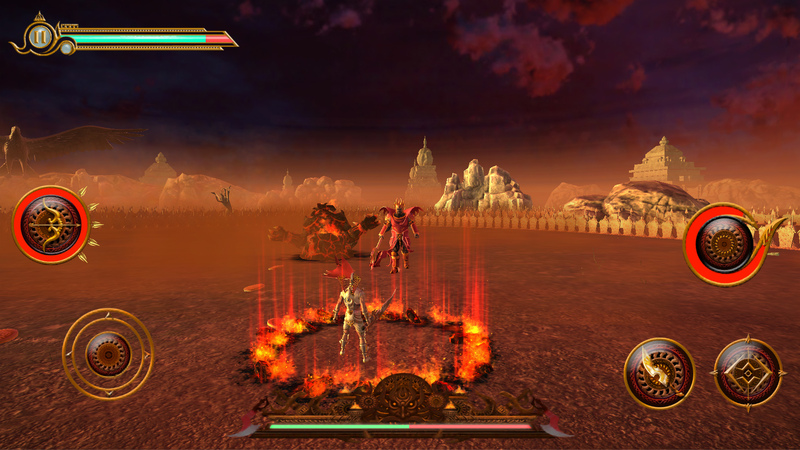 In Legend of Abhimanyu, Dussasana gets all his powers from earth, and players will experience the immense power of Dussasana through his cruel tricks of the battlefield. Ashwatthama was a partial incarnation of Lord Shiva (The Destroyer) and was the son of Guru Dronacharya. 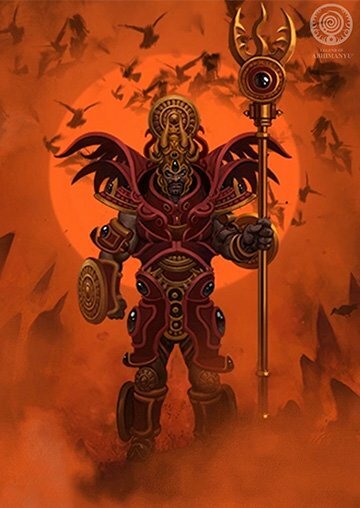 He is also known to be one of the seven Chiranjivi or the immortal ones. It’s been said when Ashwatthama becomes angry then it will be impossible to fight him as he becomes the second Shiva. No one can handle his wrath and fury. 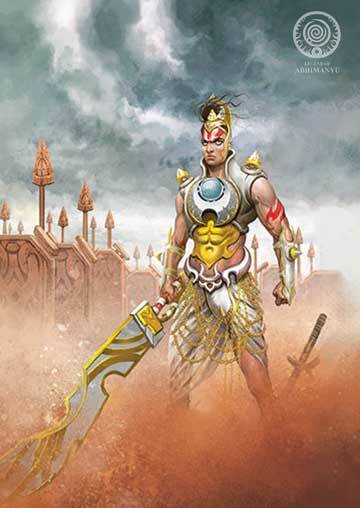 The final commander-in-chief of the Kauravas army, Ashwatthama slaughters many in the Pandava clan. 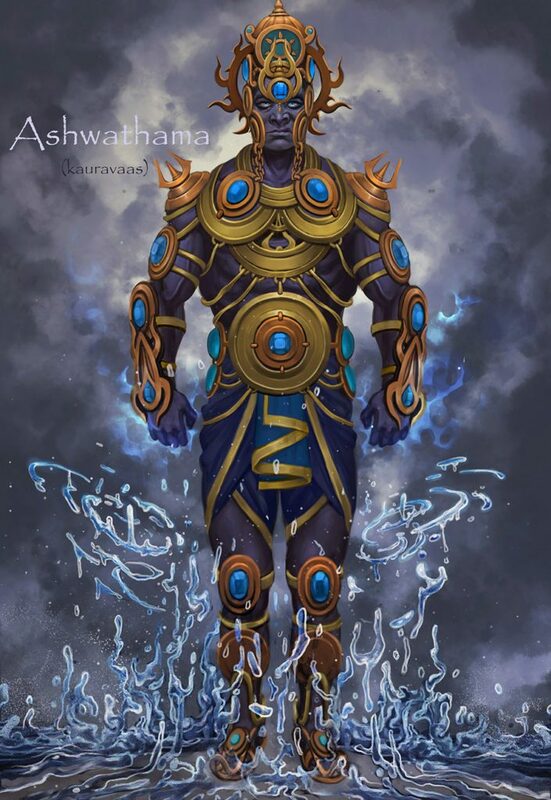 In the game Ashwatthama’s main domain is water. 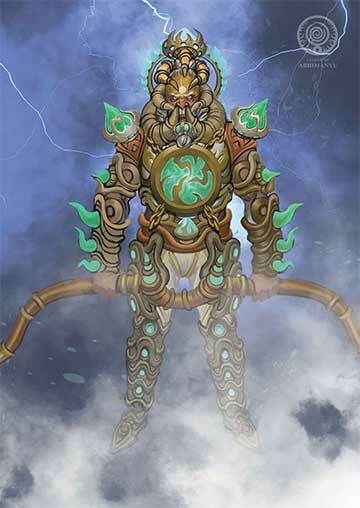 Using water as his key strength, Ashwathama becomes one of the toughest and worrisome warriors to fight with. His fight is full of surprises where the player gets the chance to experience his wrath along with his agility and beast-like fighting qualities. Karna was one of the greatest warriors, whose pugnacious are mentioned in the epic, and the only warrior believed to be able to defeat Arjuna in battle. Karna was trained under Parashurama the sixth avatar of the great Vishnu (The protector). Parashurama also served as the mentor to Bhishma, Drona and Karna. Karna was the son of the Surya i.e. Sun (eye of the universe, the soul of all existence & origin of all life). He was born with the invincible gold armor & a pair of earrings. This gift was later donated by Karna to God Indra (The king of Gods) and since after that Karna was also known as the greatest donor. 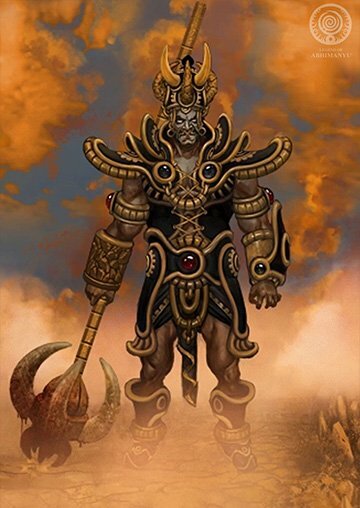 In Legend of Abhimanyu, Karna inherits the power of the Surya God (Sun God) and can summon meteor shower causing massive damage and can manipulate cosmic energies to produce nearly any wreckage he desires. Guru Dronacharya was one of the most respected Gurus of the Mahabharata. Guru Dronacharya taught the arts of the military to all the princes of Kaurava and Pandava clan. Dronacharya was one of the most powerful and noxious warriors in the Mahabharata. He was so powerful that no warrior on earth would have the courage to fight with him or think of defeating him. 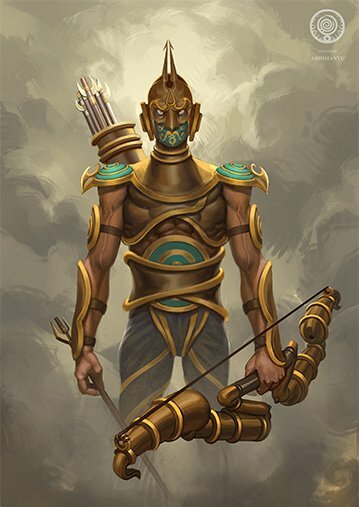 He courageously exterminated hundreds of thousands of Pandava soldiers, with his powerful armory of weapons and incredible archery skill. After the fall of the great Bhishma on the 10th day, Drona became the chief commander of the Kaurava Clan. On the 13th day of battle, Dronacharya formed the “Chakravyuha”. In the game at his command, mighty thunders would glitter and lightning’s would roll, wreaking havoc on his enemy. Archers are one of the antagonists of LoA. Archer’s are clever, sharp and ruthless, Inheriting primal characteristics of birds like the Crow and the Eagle. 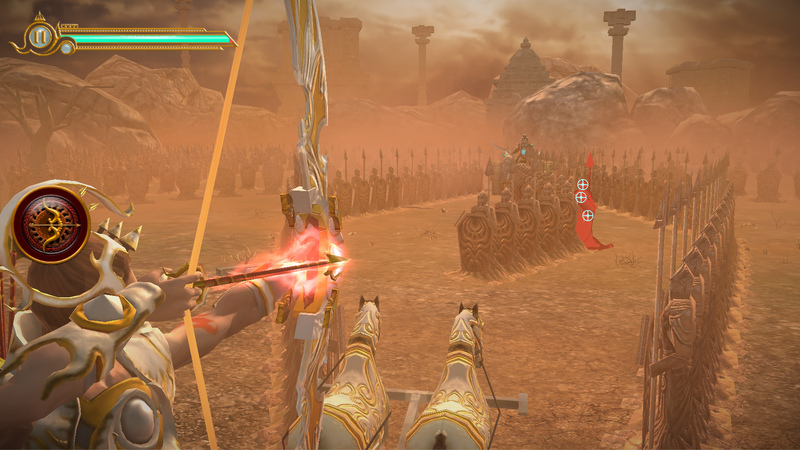 Archers are equipped with specially designed Bow-n-Arrow, with arrows being the same size as the bow to give more piercing damage, range, and accuracy. Because of their agile athletic anatomy, they either attack by jumping long distances or will appear in a small formation while maintaining appropriate distance from the player. 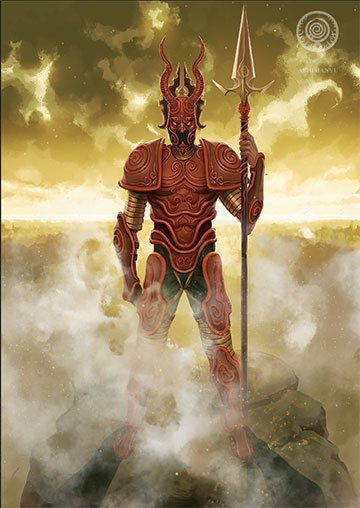 A Formidable surge of Kaurava Clan appears in endless waves and the most lethal warriors trained to ram their enemies into dust. This group of sword soldiers spots and surrounds the enemy to execute sinful acts of agony. Most lethal warrior among the Kaurava military. Equipped with a heavy shield and dual big swords which look like his claws and capable of carving the enemy into pieces. They are highly disciplined and harshly trained and always fight knowing their honor is on the line. An Expert hunter belonging to a known tribe, the Spear Soldier has his weapon designed from a special stone that can pierce any armour. These are the only soldiers who can do melee and range attacks depending on the situation. 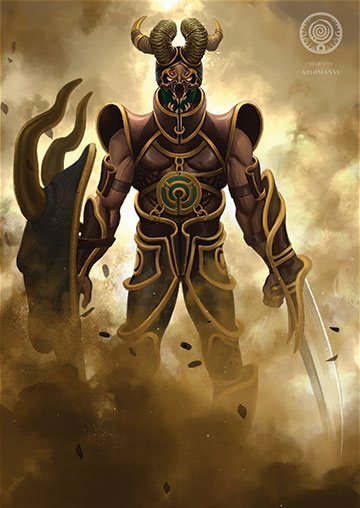 The terror of LoA, Mace Soldiers are the product of years of training under the most difficult circumstances. 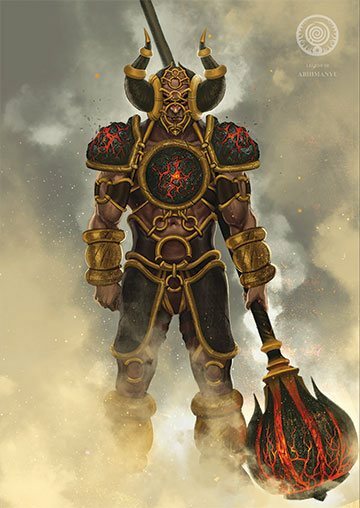 Just before the onset of any war, the Mace Soldiers are equipped with Lava based armour covering their body which represents a cruel kind of torture. The Mace Soldiers unleash fearsome attacks on their enemies by burning the skin and crushing their bones into ashes. Because of intense indoctrination, he is the most incoherent and most vicious selfdom of the LoA. 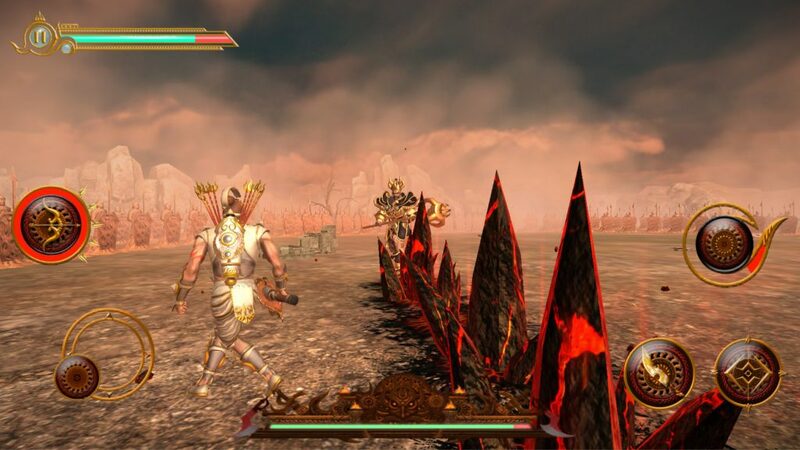 Legend of Abhimanyu (LoA) is the first ever 3D action-adventure game, on a mobile platform, inspired by the Indian epic – Mahabharata. This uniquely designed game merges contemporary Indian art style and exciting gameplay to bring an unrivalled console-gaming experience on the mobile platform. 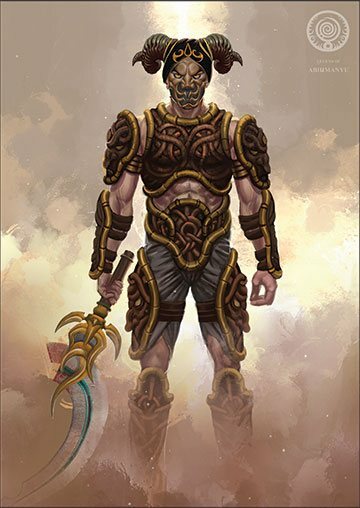 The player steps into the shoes of Abhimanyu – son of legendary Pandava warrior Arjuna – who is assigned an arduous task during the war for supremacy between Pandava and Kaurava clans. He must enter the “Chakravyuha” – a series of complex battle formations – and face the mightiest warriors in Kaurava clan by himself. Beat ’em up and “on-chariot” archery gameplay. Boss battles with 5 major characters from Mahabharata. Several enemy archetypes: archers, soldiers, dual sword soldiers, mace soldiers, etc. A thrilling war environment with cinematic look and feel. A console-like-experience on mobile platform. iPads: iPad Pro, iPad Air 2, iPad Air, iPad 4th generation, iPad Mini 4, iPad Mini 3, iPad Mini 2. 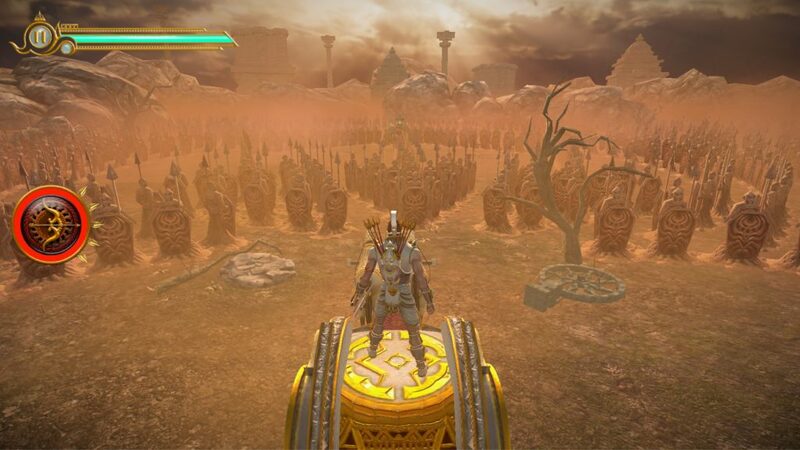 Legend of Abhimanyu features an excellent soundtrack. Here’s a sample track used in the game. ACY Entertainment is a combined effort of four people who joined hands to transform their vision into reality. They’ve put a tremendous effort into creating a team that can create a diverse and engaging environment within a unique world that will leave the player with an unforgettable experience. ACY Entertainment started with Gaurav Mehta as the Producer and a talented group of people who started working on the LoA game. 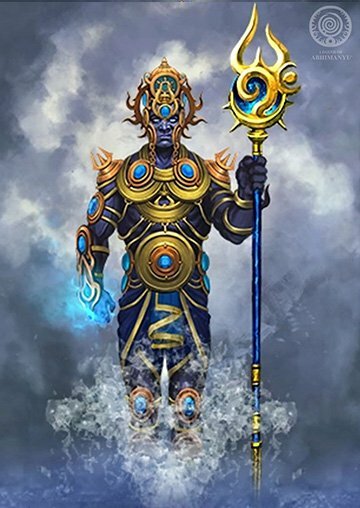 The team is proud of the fact that they are working on a concept that will put forward ancient war strategies in the form of a game for the global audience. The team has expertise in creating games for different genres and is determined to impress the world. The strong and dedicated team of game artists, concept artists, programmers, technical director, quality analysts faced many challenges and is now about to release the very first game of ACY that ensures pure entertainment. Gaming Events LoA at Game Developers Conference 2017, Pocket Gamer Connects UK and other events. LOA grants you a non-exclusive, non-transferable license subject to the limitations below to access and use the Game for your own non-commercial entertainment purposes. You agree not to use the Game for any other purpose. There are limitations on who may buy and download the game. You may download or play the Game only if you are above 13 years of age. You will obey your obligations to Apple mobile platform from whom you download the Game. You will not inform other users of any game error, or bug which leads to an unintended advantage. You will not exploit differences in pricing for In-App Purchases or In-Game Items by sending altered, unreal, or false source-identifying information. You will not harass any other player, and will not submit any offensive, harassing, or illegal content. You will also not post content that violates the rights of any other individual. You will not use the Game for any unlicensed commercial purpose. You will not use any automation software, hacks, or any unauthorized software designed to modify or intervene the Game experience. You will not remove any proprietary notices within the Game. You will not use any software or technology to send content or messages that manipulate data from the Game. You will not copy or modify the content from the Game except as specifically approved by us. You will not promote, support, or otherwise assist any illegal behavior. As an example, the data we collect includes (but is not limited to) the following game-related indicators: time spent per level, number of retries per level, time spent per session of gameplay, etc. The game does not have access to personal information like: player nickname, player demographics (age, gender), device location, device owner account, phone contacts, phone SMS or other app’s contents. All data we collect is strictly anonymous. We never match playing behaviour to player identities, and that is because, the game doesn’t collect any kind of personal data (as mentioned earlier). The game is built using Unity, a game engine which requires access to some technical information about the player’s device in order to work properly. Such as device manufacturer, hardware components, device and network identifiers, system language etc. The collected technical data is managed by Unity and aggregated in publicly-available statistics. We have no control over how Unity uses such information. This website (the “Website”) is the website of Legend Of Abhimanyu (“LOA”, “us” or “we”). The pages on the Website are published by ACY Entertainment Pvt. Ltd. on behalf of Legend of Abhimanyu. The game is not intended to be offensive towards any particular religion. We do not intend to hurt anyone’s religious sentiments, however we are not responsible for the presence of any information that may go against a particular custom. We are a team that belongs to diverse religious faiths and beliefs. We do not believe in any discrimination on the basis of caste, color, region, gender, or religion. We are not biased towards any particular person, gender, nation, society, or religion. LOA is not intended to support any kind of illegal activity. We do not acknowledge the use of copyrighted content or images from other games for commercial or private use. We respond to all the violation notices and take appropriate actions under relevant intellectual property laws. The game is not for commercial use. LOA is not responsible for the consequences resulting from the use of the information in the game, or in any respect for the content of such information, including bugs or omissions. We take no responsibility for the technical issues beyond our control. We do not guarantee or make any representation regarding the Website’s content about accuracy, non-violation, correctness, or integrity for a specific purpose or otherwise.Every warranty, guarantee or representation is disclaimed. LOA is not accountable for any other website’s content to which you may hyperlink from the website. We are not liable for any damage or loss you find as a result therefrom. The website LegendofAbhimanyu.com, its authors, affiliates, directors, and staff will not be responsible for any outcome relating to any action or inaction you take based on the information or services mentioned on this site. The users are allowed to link to articles on their website. However, the user must not link in a manner which affects the reputation of LOA Game or its affiliated bodies. LOA shall not be liable for any risk you assume with the use of this website. Be it the risk to your software, data being affected by virus, or any other file that must be transmitted through LOA web page, we do not account for any loss of any kind resulting from using or misusing the information enclosed in the LOA blog. The website’s use, access, and the operations of this disclaimer shall be regularized by the laws of India. The courts in India shall have exclusive legal power over any conflict arising out of the use of this website. You can share a file only if the license under which it has been downloaded allows you to do so. Conformity with all applicable laws is your responsibility!